Join the #1 Conservative Ad Network In the World! Would you like to reach a Conservative and Christian audience? We can offer visibility to a 30 to 65 year old target market, with a graduate to post graduate education and a six-figure salary! With over 65 million pageviews per month and hundreds of millions of impressions (in the United States), we can get your message in front of the “right” buyers. Intrigued? Explore the details on our Media Kit. Do you feel like your website is leaving money on the table every month? We talk to bloggers on a daily basis that have good to great traffic volume but aren’t fully monetizing their website. This is where we come in.  We have made it our job to know where the ad placements will get the greatest click through rate and which advertisers perform and pay the best. Let us help support your business by putting your focus back on content and leave the advertising management to us. We take the pain out of advertising, so you can focus on your brand. No hassle. We do it all for you. We link quality publishers with top brand advertisers nationwide. Patriot Ad Network was created in 2014. In just 3 years, we have become the leading experts in wordpress web development and ad monetization for conservative news publishers. See our media kit for a closer look at some of the sites we manage. Don’t wait any longer. Let us help you earn more money!